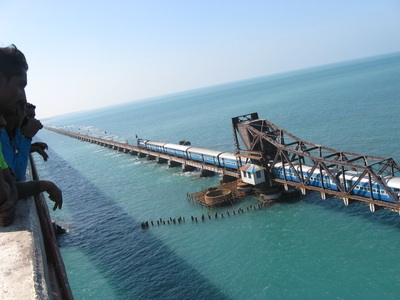 Rail travel in India is extremely affordable and also a delightful way to immerse yourself in the country’s culture. We are the world's second largest rail network with over 100,000 km of track, carrying 14 million passengers every day in over 7,000 trains. Most trains offer up to 4-5 classes of travel. More information on these classes are below. The AC coach tickets in the higher classes include meals. 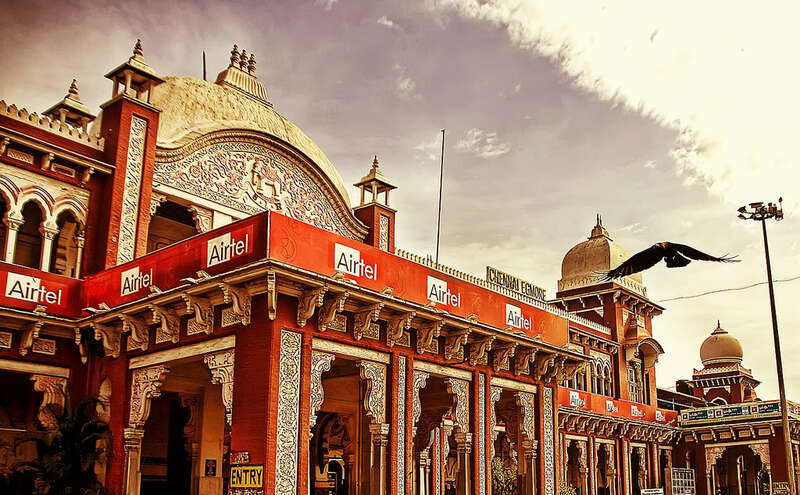 At the railway stations, porters normally charge between Rs 50-100 (US$ 1-2) per piece of luggage. Negotiate a price before you start. If your station is on the main terminal platform, it is not difficult to wheel your luggage yourself. If on another platform, it means negiotiating steep footbridges and surpisingly long walks (forget elevators or escalators!). A porter could be handy in such situations. 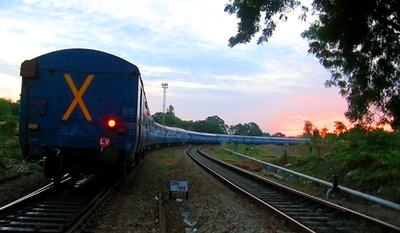 Do note that trains are the most common form of long haul travel for Indians. Bookings open four months before date of travel. For the festive or holiday periods, hundreds of thousands of seats can get booked up within minutes of becoming available. 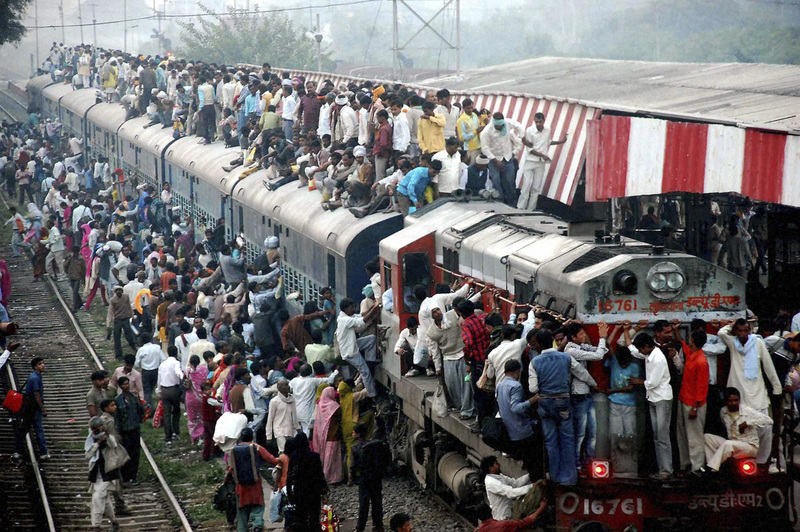 So it is advisable not to plan on train travel during these periods. If you book well in advance, then a train journey can be a really amazing part of your India experience. Best way for daytime journeys and comprises seating coaches. These are similar to standard city or inter-city trains in Europe. 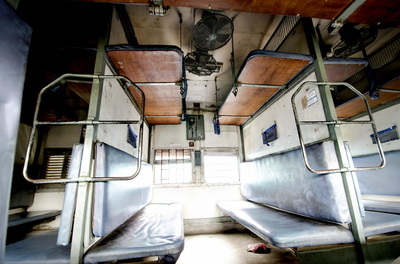 In cooler destinations, chair cars may not be air-conditioned. 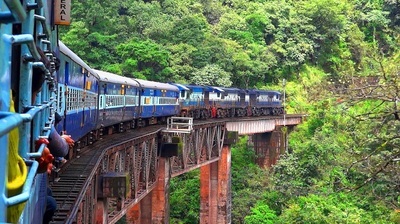 Depending upon the train and duration of journey, these tickets may include bottled water, newspapers, snacks and meals. 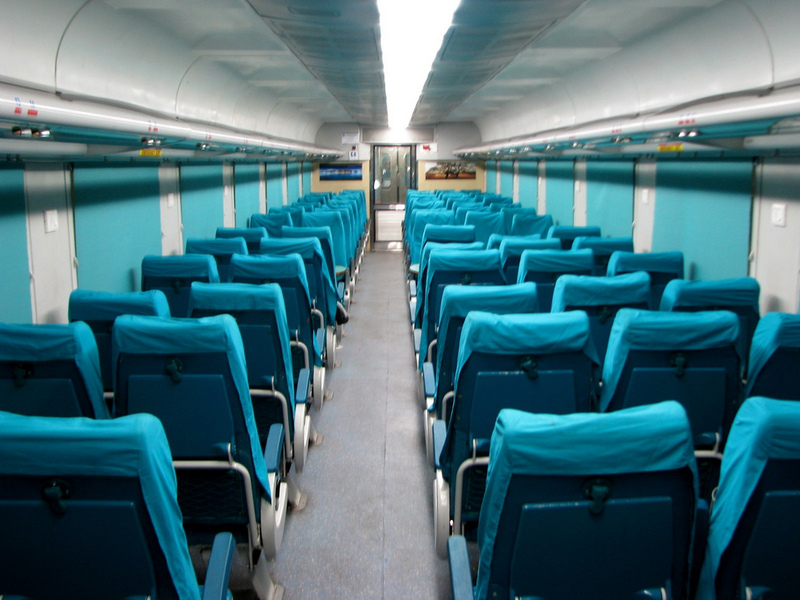 AC Chair Car – from Rs 750-1000 (US$ 12-16) and Executive AC Chair Car, which is double the price. 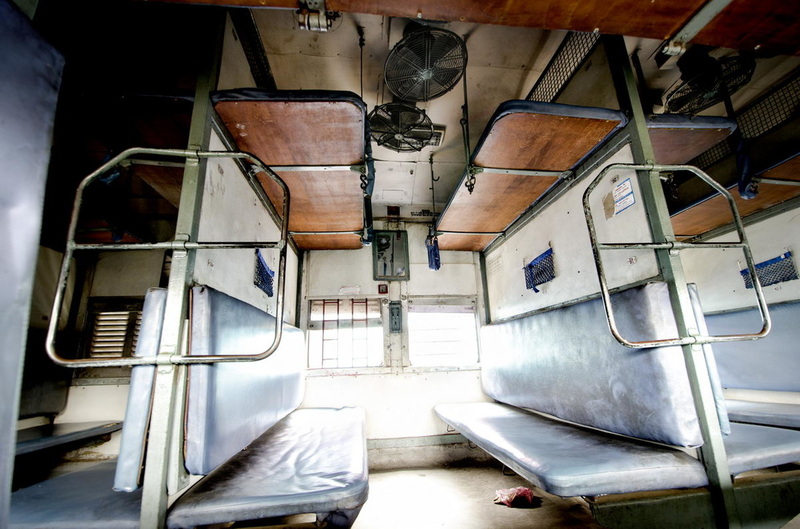 If you are looking to include a short train journey as part of an India experience, we try and find you a day journey by AC Chair somewhere on your route. It is safe, relaxing and fun experience. Seats are plenty and often available close to travel dates. Only a handful of trains (overnight journeys) offer 1st AC coaches, which have just 15-30 berths (sleeping beds). These comprise private lockable cabins with berths only on one side of the cabin. So it is more spacious than other classes. The cabin will have either 2 berths or 4 berths. You sit on the bench seats during the day when the bunk is folded up. Beds are wider and more comfortable. Some cabins have an ensuite wash basin. But toilets are western-style shared. The cabin will have a calling bell to summon the attendant. 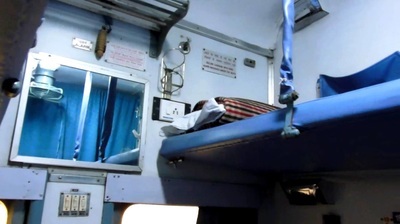 First Class AC Sleeper - ranging from INR 2,000-4,000 (US$ 33-66) per sector. It is difficult to obtain tickets on First AC as they sell-out very quickly. For any overnight journeys, 2nd AC coach is the preferred booking class. 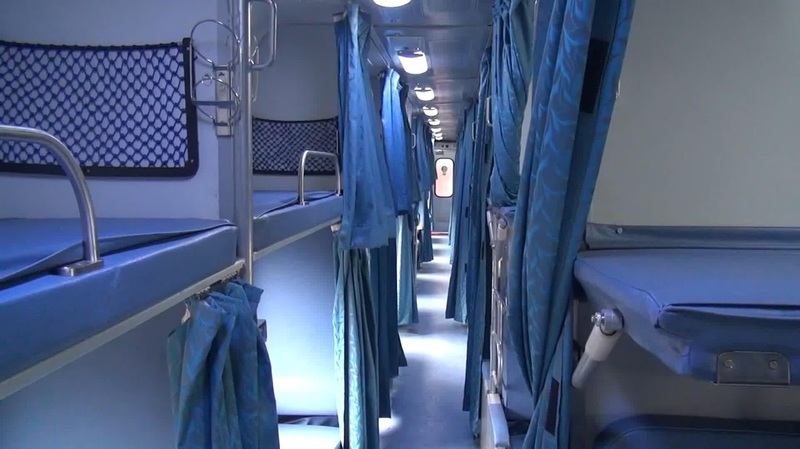 These consist of air-conditioned cabins with two upper and two lower bunks , plus a set of upper and lower bunks opposite the cabin. Cabins are mixed gender and shared by all travellers. 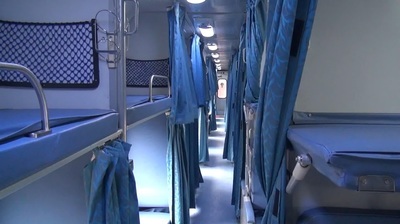 During the day the lower bunks are folded-up and they become seating for all passengers in the cabin. Cabins are not lockable and do not have a door. Instead they have privacy screen curtains. Toilets are western and squat syle and shared with other passengers. Some trains include meals and others require purchase. 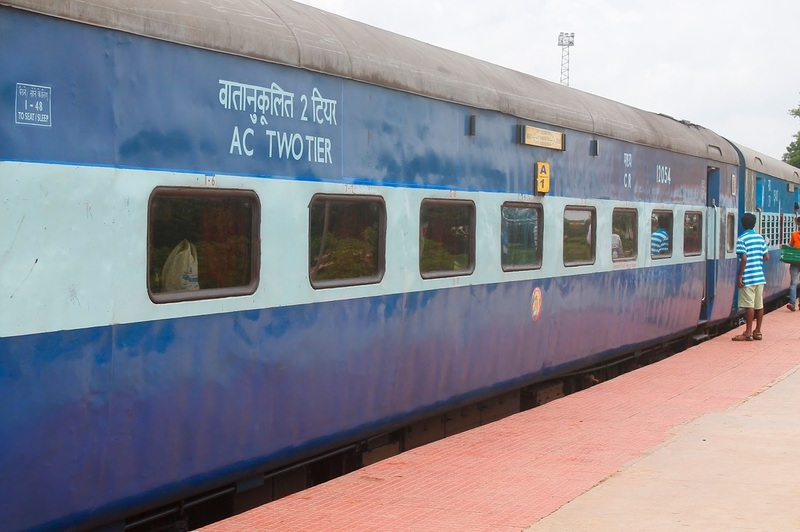 Shatabdi Express trains include meals and they are of good quality. 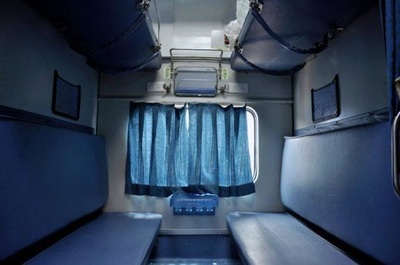 Two Tier AC Sleeper – ranging from INR 1,500 – INR 3,000 (US$ 25-50) per sector. Second AC tickets must be purchased well in advance. 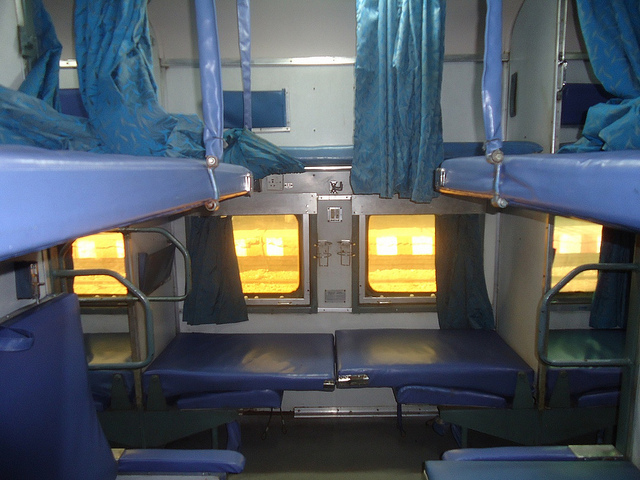 These are similar to 2nd AC, but have triple bunks. These make them a little cramped and only booked if we cannot obtain 2nd AC ticket. Costs range from INR 750 – INR 1,500 (US$ 12-25) per sector.